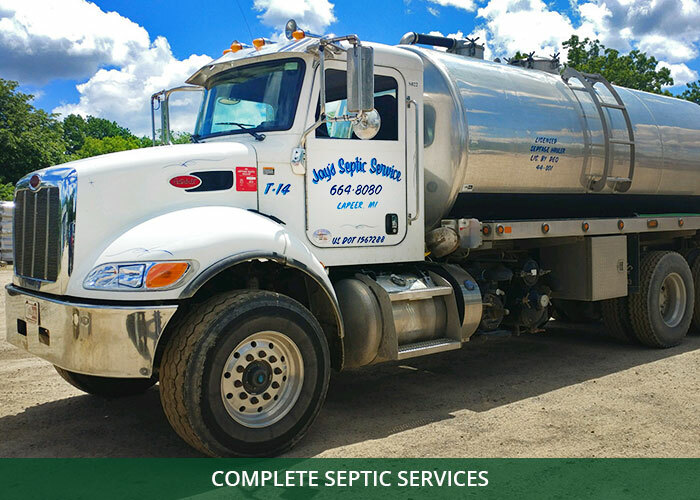 Jay’s Septic Tank Pumping and cleaning has a fleet of tank trucks always on call. Whether it is for a system back up or general maintenance, we can help you. We can pump up to 9,000 gallons at a time. With over 50 years of experience, Jay’s Septic Tank Service is large enough to handle any size job. Our satisfied customers tell us we are small enough to care. Here is a schedule to use as a guideline. The average size tank is 1250 gallons. The frequency is measured in years. 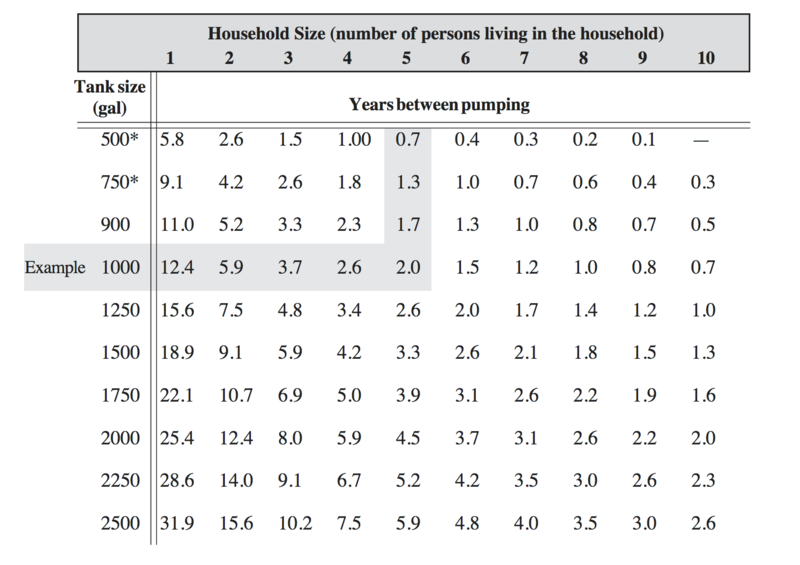 This assumes you do not have a garbage disposal. This schedule is from Penn. State U. Cooperative Extension Service. Contact Jay’s Septic Services to discuss your septic tank pumping needs.